With its plentiful sunshine year round and close proximity to Tampa, Clearwater and St. Petersburg, Wesley Chapel offers the perfect opportunity for Tampa Bay Area home buyers. The town enjoys a superb quality of life as well as great public schools, an affordable cost of living and easy access to Tampa International Airport. For homebuyers of all budgets seeking quality homes in the Tampa Bay Area, Wesley Chapel is a fantastic place to start your search. Wesley Chapel FL real estate offers close proximity to major cities like Tampa as well as to many of the region’s premier beaches, golf courses and public parks. Wesley Chapel homes offer a rich variety of great choices, including single-family homes in all sorts of price ranges and styles, starter homes, townhouses and much more. Wesley Chapel properties, with their wealth of choices and reasonable prices, are excellent for retirees, commuters and families alike. The community was first settled in the 1840s and grew steadily throughout the 19th and early 20th centuries. It became a popular haven for retirees and families after World War II and today boasts strong population growth, attesting its high quality of life and great homes for sale http://fivay.org/wesley_chapel.html. 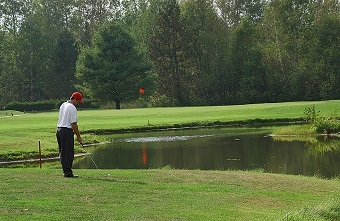 The community hosts the Saddlebrook Golf Course as well as a number of local parks and scenic trails to discover. Nearby, residents can also enjoy the golden beaches of the coastline and beautiful state parks and nature preserves like Crews Lake Wilderness Park and the Cypress Creek Preserve. Local attractions include Saddlebrook Golf Course, the Jay Starkey Preserve and a wide array of shops and restaurants nearby. Nearby cities like Tampa, St. Petersburg and Clearwater also offer many museums, parks and entertainment venues to explore. 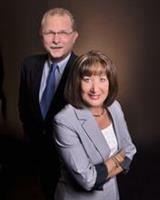 Those looking into becoming a Wesley Chapel home buyer should call The Tampa Home Team, 813-766-3403. This Homeward Real Estate team led by Sharlene Woodis and Doug Katulich are experienced pros who know the Tampa Bay market, and have the latest information and real estate deals. 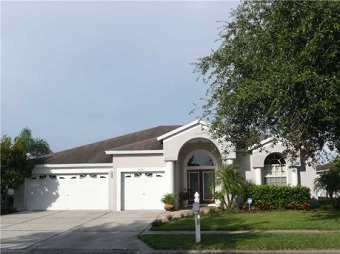 Real estate in Wesley Chapel offer some of the top deals in the Tampa Bay Area, so act today!